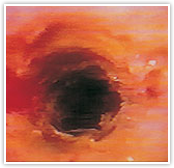 PHOTOFRIN® is activated with a non-contact, non-thermal red light from a laser. Cleanout debridement bronchoscopy is performed. An optional second red laser light application may be performed. These are not all the possible side effects of PHOTOFRIN. For more information call your healthcare provider. You are encouraged to report negative side effects of prescription drugs to the FDA. 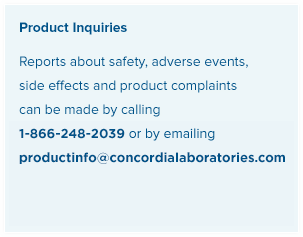 Visit www.fda.gov/medwatch, or call 1-800-FDA-1088 or call Concordia Laboratories Inc. at 1-866-248-2039. References: 1. 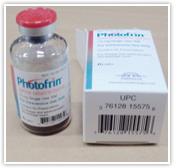 PHOTOFRIN® (porfimer sodium for injection) [package insert]. Chicago, IL: Pinnacle Biologics. PHOTOFRIN®, Pinnacle Biologics™ and the logo of Pinnacle Biologics™ are trademarks of Pinnacle Biologics, Inc. The PHOTOFRIN® trademark is owned by Concordia Laboratories Inc.
PHOTOFRIN® is manufactured by Jubilant Hollisterstier General Partnership for Concordia Laboratories Inc. and distributed in the United States by Pinnacle Biologics Inc.
References: 1. PHOTOFRIN® (porfimer sodium) Injection [package insert]. Chicago, IL: Pinnacle Biologics. 2. Heier SK. Photodynamic therapy for esophageal malignancies. In: Barkin JS, O’Phelan CA, eds. 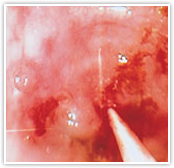 Advanced Therapeutic Endoscopy. 2nd ed. New York, NY; Raven Press; 1994;57-65. This site is intended for US residents only. | Copyright © 2013 Pinnacle Biologics, Inc. All rights reserved.